With the rapid deterioration in the health of Venezuela’s President Hugo Chavez, it seems a pertinent time to look at why Venezuela and Chavez play such an integral role in the global energy market. A glance at a few statistics immediately highlights the importance of the country’s role. It is the largest oil exporter in the Western Hemisphere (and 10th largest in the world), and holds the world’s largest proven oil reserves at 298 billion barrels. It also has the second largest natural gas reserves in the Western Hemisphere (second only to the US). But these rather salubrious details mask a situation which is much less promising than these numbers would lead us to believe. Venezuela is ultimately what is known as a ‘petro-state’. Oil revenues account for 94% of export earnings, 50% of budget revenues, and 30% of GDP. But since 2001, overall oil production has fallen by roughly one-quarter, while oil exports have dropped by almost 50% since 1997. And it is no coincidence that these declines coincide with Hugo Chavez becoming President in 1998. Although Venezuela nationalized its oil industry in 1976, creating the state-run company Petroleos de Venezuela SA (PDVSA), Chavez immediately increased state control of the oil industry to gain more control of its coffers (or as Daniel Yergin says in his epic book ‘The Quest’, PDVSA ‘became the cash box of the state’). This move caused immediate tension between Chavez and PDVSA, and it didn’t take long for this tension to escalate. Related Article: Can Hugo Chavez's New Term of Government Start without Him? In 2002, nearly a half of PDVSA workers went on strike to pressure Chavez to call early elections. This virtually halted oil production for two months before the government gradually reestablished control over PDVSA. It then promptly fired 18,000 of its workers – approximately 40% of the workforce. The country’s oil industry was then further hindered when the government hired less skilled or experienced people (but pro-Chavez) in the place of the fired employees. But despite his megalomaniacal tendencies, Chavez is idolized by many in Venezuela for having greatly improved the standard of living for his people, giving them access to healthcare and education. But even these well-meaning initiatives leave a trail back to the mismanagement of the country’s oil. Cuba provides Venezuela with personnel such as health workers (some 40,000 doctors) and teachers, but as a quid pro quo for heavily subsidized oil. A similar scenario exists regarding domestic fuel subsidies. Fuel prices in Venezuela are the cheapest in the world at about 18 cents a gallon. But all this does is pander favor from the Venezuelan people, but in a highly inefficient fashion. After all, these heavy subsidies mean domestic oil consumption has risen from 36% to 47% of the total energy mix in the last decade, which has created a scenario where Venezuela has less oil to sell into the global market due to higher domestic demand. Not only does this mean less government revenues, but due to the lack of investment in domestic refining capacity, for every ten barrels it sells to the US, it now has to import two barrels of refined product…at a higher price. But yet these oxymoronesque actions are not new or isolated cases. A decade of underinvestment and mismanagement of Venezuelan oil resources has led to varying degrees of malevolence, from PDVSA only employing pro-Chavez workers, to the expropriation of such international oil companies such as ExxonMobil and ConocoPhillips when they declined to give PDVSA the majority control in their projects in the country. This leaves PDVSA needing to invest $3 billion a year just to maintain production levels at existing fields. 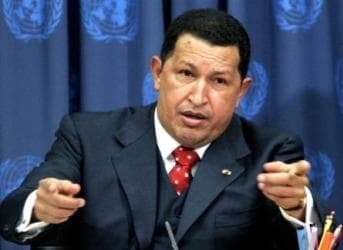 Related Article: If Chavez Dies, What Next for U.S. - Venezuelan Energy Relations? This lack of underinvestment in the domestic oil industry unfortunately manifested itself last August in an explosion at the Amuay refinery – the country’s largest – which caused 42 deaths. Amuay processes 645,000 barrels a day, and is part of a three-refinery complex which is the second largest in the world. This was the deadliest refinery blast in 15 years, and although an accident, led to suggestions of inadequate maintenance and safety checks; Venezuela’s refineries executed only 19.3% of all planned shutdowns in 2011. This brings us to the present, and the inauguration of Hugo Chavez for a new term on Thursday. Chavez is in Cuba instead, however, where he has been undergoing cancer treatment for the past month, with his health deteriorating in the last week due to a respiratory infection. Unwilling to step down but too sick to be sworn in for another term, the inauguration is to be postponed amid calls from opposition leaders that a delay would be unconstitutional. The ill health and absence of Chavez leaves Venezuela facing an uncertain future. Although Chavez still has the support of his people, and likely the support of the Supreme Justice Tribunal who can swear him into office despite his absence, his death could throw the country into turmoil. Instability, a power struggle, and ultimately, an election would ensue. But regardless of whether Chavez is succeeded by his current Vice President Nicolas Maduro, or the man he defeated at the polls in October, Henrique Capriles, it seems that either successor has a very low benchmark to beat when it comes to managing the Venezuelan domestic oil industry. The same lack of investment into the domestic oil industry as seen in Chavez' Venezuela, is also seen in Mexico, Russia, Iran, and almost anywhere else national oil companies control access to oil fields, while propping up corrupt dictators and oligarchies. Bread and circuses is what populist tyrants like Chavez have to offer. The bread is confiscated from producers and redistributed to political supporters. The circuses are the ludicrous behaviors of the clownish leaders themselves. The death of Chavez could make a crack just big enough for pro America/free markets lobbyists to influence the coming elections in their favor, this is exciting news for anybody who buys gas ion the U.S. But on the otherhand pro Chavez lobbyists could cause tensions, aterall Chavez has the hearts of the majority demographic; the poor. If civil war errupts then the prospect of much lower gas prices in the U.S. will only be a memory, a civil war kills any chance of America influence due to the overwhelming support of the Chavez era. America's best chance to have a pro America outcome is to show higher support to the poor community the Chivez showed in order to sway their vote.